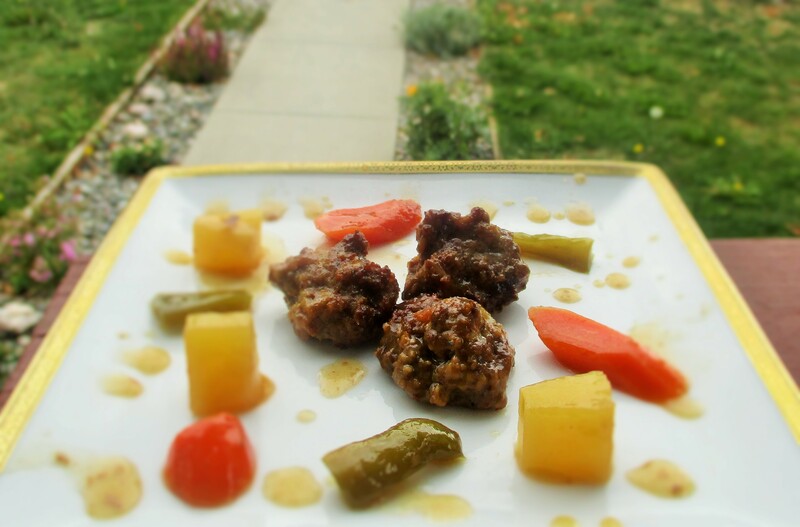 Many years ago when we lived in Seattle I started making sweet and sour meatballs. The kids love them and so do I. I made them about a month ago and hesitated to put the recipe up. I am not a photographer but I do like to make sure things look as good as they taste. I could not capture that, each picture was worst than the next, so the recipe has been sitting in drafts. My son took pictures, he even made me stand and hold the plate all messy from cooking, but nothing worked!! 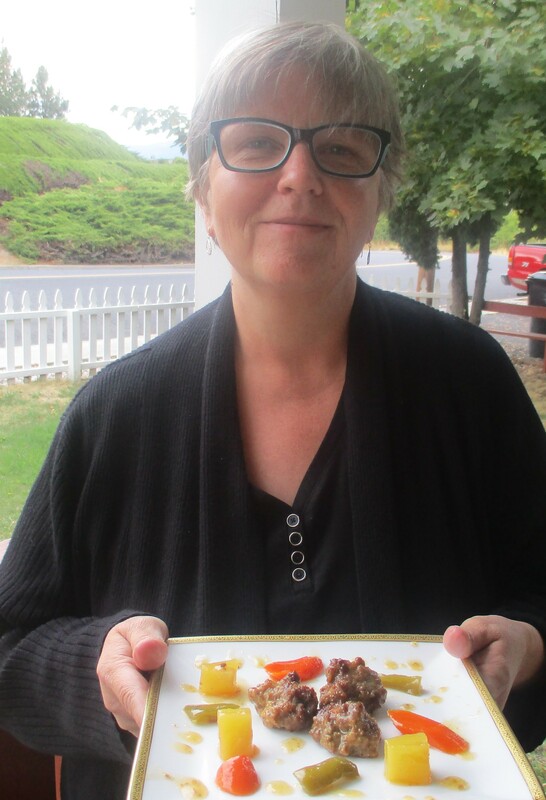 I then remembered that I started blogging to measure ingredients for my recipes and get them all in one place! 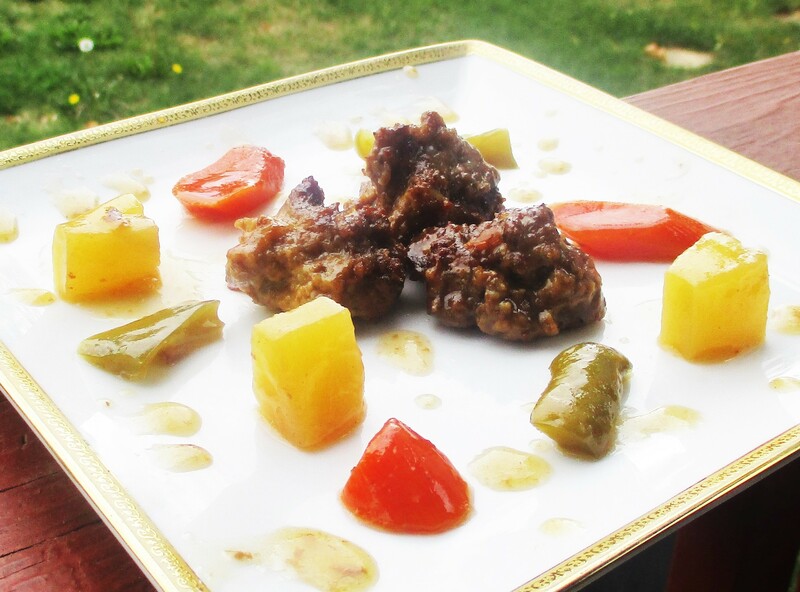 So I decided to just put this recipe up and get it over with! 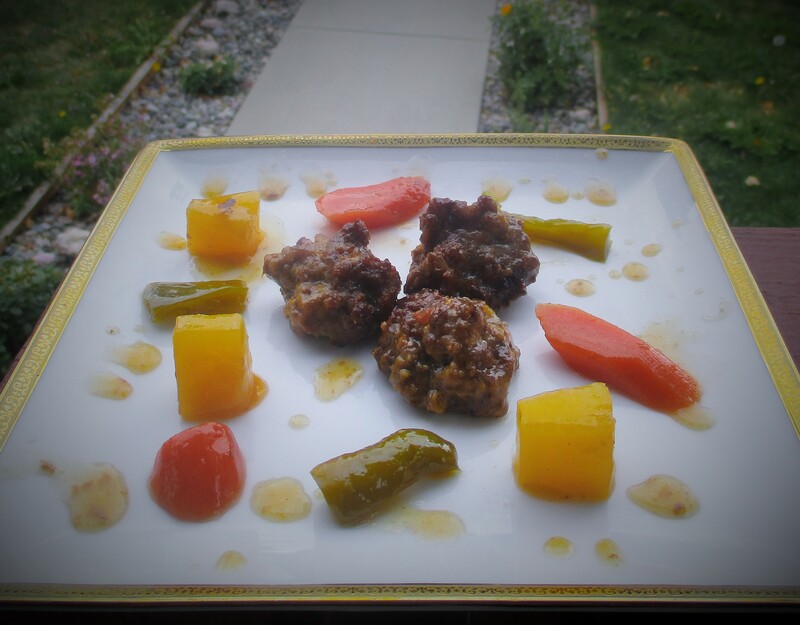 The meatballs looked gorgeous in person and did not last for more than one meal even though I tripled the recipe listed below! Put bread crumbs in a bowl with milk and stir. Mix meat, bread crumb mixture and egg. Add salt and onions, mix very well. 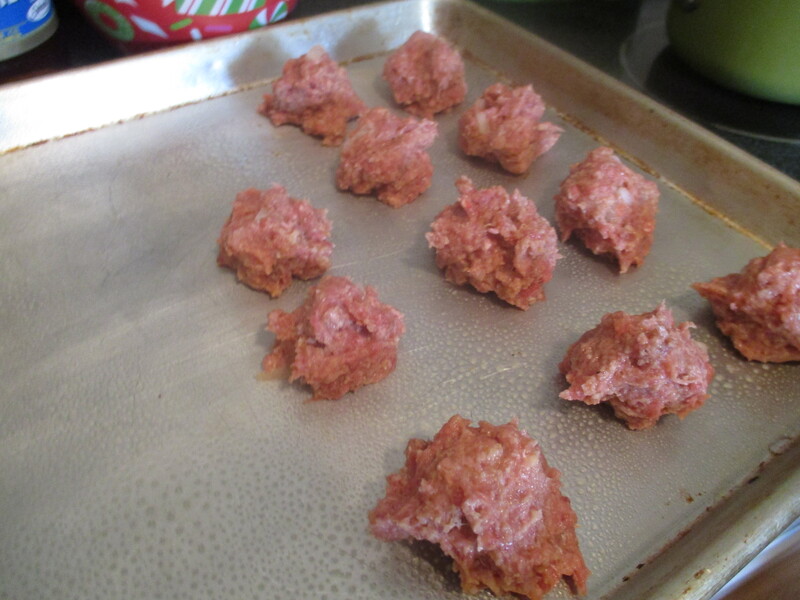 Take a piece of meat mixture and form a ball, place on tray. I do not roll out a firm ball as I find it makes for more tender meatballs. Bake at 400 degrees approximately 30 minutes or until cooked. Remove from oven and move to a 9X13 oven proof dish. 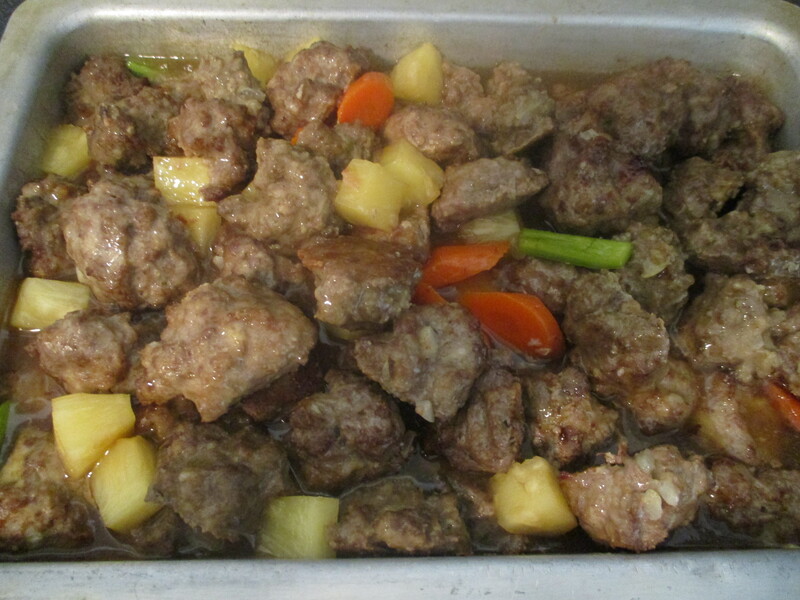 Place all sauce ingredients, except cornstarch and pineapple in a sauce pan. Mix together well over medium heat. In a bowl, mix cornstarch and a little water as per package instructions, make sure this is well mixed and no lumps remain. 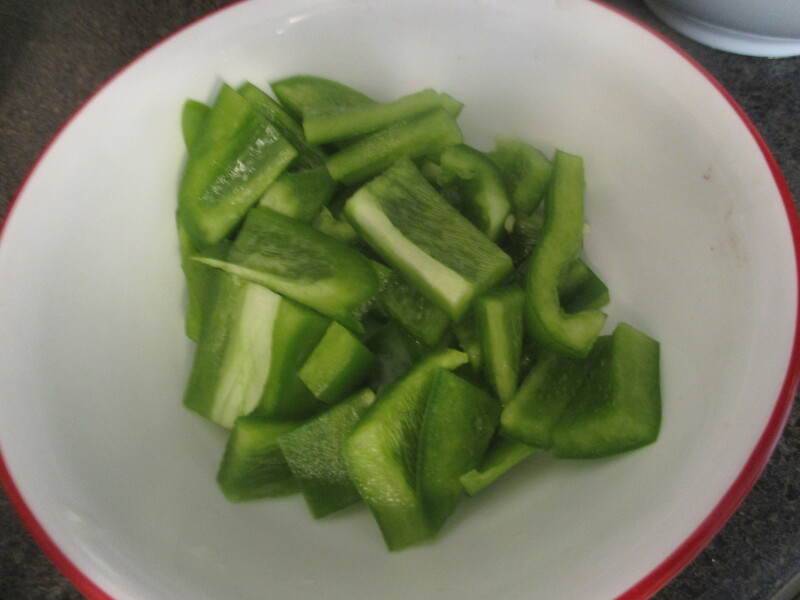 Add Cornstarch mixture to sauce in pan and whisk well, let boil for several minutes until slightly thickened. Add pineapple chunks and stir. 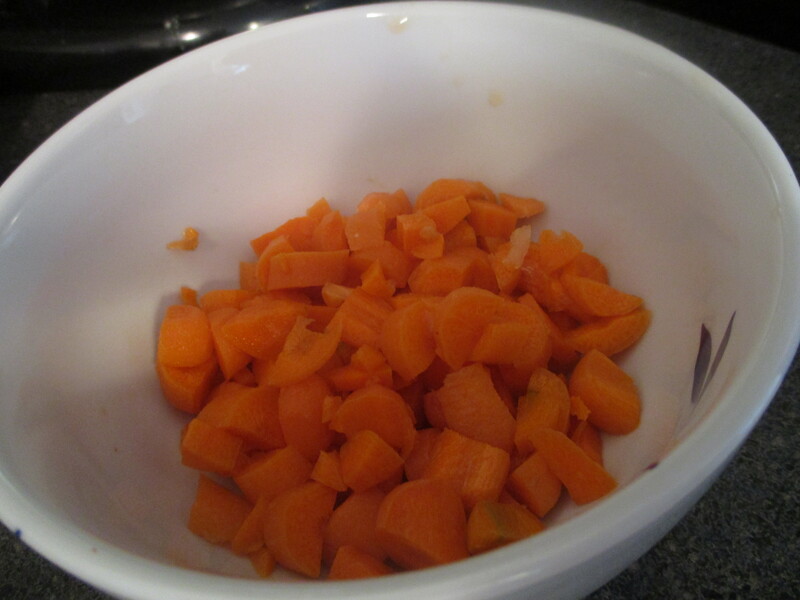 Peel and cut carrots, boil for 10 minutes and drain. Wash pepper and chop. Pour sauce over cooked meatballs and gently coat. Add carrots and bell pepper and gently mix. Cover pan and bake for 30 minutes. Remove from oven. 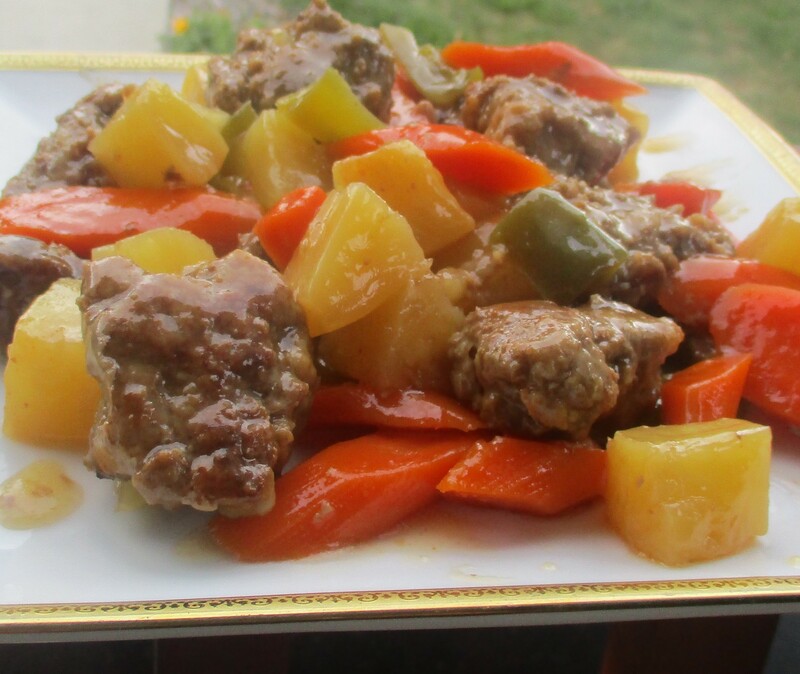 Serve meatballs over white rice.